If you are searching for a good voice changer app than stop. Voice Changer for Android will offer you many entertaining solutions which will offer wide variety of choices to change your voice. .
That is why today we will talk about one of the best in the business software niche – Aquilon Software. It is a software that earned critical acclaim due to its features and functionality. Companies widely use it for Enterprise Resource Planning (ERP). Travel apps have been constantly popular on these devices ever since their inception, but these days they’re so good that they’re actually useful even when you’re not desperately trying to have fun on vacation. If you are nostalgic about Flappy Bird then you definitely should try the cutest Flappy Dragon of all times. Android app that will make the creating of shopping lists very easy and simple. The Leap Motion was first introduced back in May 2012, and now the price of this amazing device is known. Leap Motion is a controller, similar to Microsoft's Kinect, but according to it's creators this device is 200 times more sensitive and also is going to be a lot cheaper. Leap Motion will cost only $80. Leap Motion will debut at the same time on Windows 7, Windows 8 and Mac OS 10.7 or 10.8. The creators already developed applications for its integration with Autodesk and Corel, and the controller can be used for some video games. It is expected the device to be integrated with even more applications, considering that around 40,000 developers have shown interest in Leap Motion. New and Revolutionary Leap Motion controller will cost $ 80, and orders from the pre-sale will begin to deliver on 13th of May. From 19th of May the device will appear in stores in the U.S. If you want to see what Leap Motion can do, just watch the video bellow. We already presented some "alternative" smartphones on hightechholic.com, and we want to announce that we'll favor them in future. Today we'll present Fujitsu Stylistic S01, the first smartphone from the Japanese company Fujitsu. Fujitsu Stylistic S01 has a 4inch (800 x 400) display, 8MP camera and 1.4 single core processor. This device is water and dust resistant and it works on Android Ice Cream Sandwich. 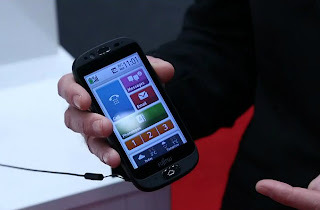 It's interesting that Fujitsu, with this smartphone, targets the older people for whom technology is still a chore. Thus, the Android for this phone had a great transformation and its operation is simplified. For example, as far as you explore the menus, to possibility to get lost is minimized with the green question marks, that you at any time will tell you where you at. The emphasis is on reliability and functionality of the touchscreen, which is especially for older people constitute a major problem. Fujitsu claims that for older people speed is not essential. Therefore, special attention is given to the sensitivity and strength of the pressure needed. Particularly interesting is the addition of the deceleration of the speech of the one who you speak to, so the talks become a lot clearer. Nevertheless, it is still possible to install any of the available applications, and those who opt for this phone will not be disappointed in anything. The phone will go on sales first in France in the summer, and then in other countries. Although experts do not foresee big success, Fujitsu Stylistic S01 will no doubt have his loyal army of fans. At the Mobile World Congress held in Barcelona, Sony presented the 6.9 mm thin tablet - Xperia Tablet Z. Not only that it's the thinnest tablet on the market, Xperia Tablet Z is one of the rare tablets who are waterproof. The device can stand about 30 minutes in water without damaging itself. The very thin Xperia Tablet Z, which weighs only 495 grams, is designed according to the smart phone Xperia Z, which we presented a while ago. This tablet has 4 core 1.5 GHz Snapdragon S4 Pro processor, 2 GB RAM, screen resolution of 1920 × 1200 which, according to Sony shows 20% more colors than the iPad, and runs on Android 4.1 Jelly Bean, which will be updated with 4.2 once this version of Android is started. Also it has 8 megapixel rear camera and a 2 megapixel front camera. You can choose from 16 and 32 gigabytes of storage, but you'll have the ability to upgrade it to 64 GB. The cheapest model with 16 GB of storage and support for WiFi will cost $500. The date when this amazing tablet is going to be available is still not known. Cloud computing is becoming more and more prevalent, especially with businesses. Consumers have been introduced to it in a much more organic way, through the use of mobile devices and the way they are backed up. Different services have slightly different models, but if you use this service and lose your phone - say it falls out of the canoe and sinks - you still have all your apps and songs and other files that were stored on the phone in a backup on your providers servers. That is the cloud, and it works the same way that backing up data from a laptop, desktop or local business server works. The data is stored on the providers' servers. This is the number one use of cloud computing at the moment, and it has many advantages over local storage. The first of those is security. For overall, average security needs Cloud storage from companies such as Macquarie Telecom ensures your data's safety much more completely than storing it on a personal drive or your local hard drive or server. This sever is more secure physically because of the way server farms are built. They are not subject to damage from lightning strikes or floods, and they generally have excellent physical security and other redundant security features. Breaking into a cloud server is generally much harder than breaking the security of your local computer that is hooked to the internet. Also, if the computer is used on the internet, it is possible that your information could be compromised through a general malware or virus attack. But when you automatically back-up to a cloud system, those worries are gone. If your company handles extremely important data, there is the concern that since he data is stored on another location, the data has extra vulnerability. There are ways to enhance the security of a cloud based data storage system. Dedicated servers are the most important step. Your provider will be able to work with you, and ensure that you and you alone have sole access to the server where your information is stored. Once that is accomplished, your provider should once again be able to design multi-layered security solutions to suit your specific needs. This is just a way of limiting access to information by building specific databases, and has strict permission protocols. This way, even if someone hacks into the system they are exposed to a very limited amount of information. Cloud providers will be able to address any security concern you may have, and be able to design a system to control and protect that data. Software applications and database servers and other interactive features are becoming more and more prevalent among cloud providers. In this section of the Cloud business, it allows a company access to a specific program or utility (such as a Point of Sales station). If you are a small graphics company, you might also need access to programs for specific jobs. If the upfront buy price of the program is prohibitive, renting time on the program through the cloud is an excellent way to accomplish your business goals without the outlay of the programming. Office programs are much the same way. For a small regular fee, you can have access to a suite of tools which don't normally come on a computer when you buy it new. By getting access to a whole range of programs for a small fee, it is easy to expand productivity without a lot of cost. Cloud services provide valuable services for any business if used properly. The Author writes about technology and business issues and loves building websites using Macquarie Telecom! The new panoramic 320 giga pixel photo of London is made from 48,640 photos, which is a new record for the world's largest photo. To put the size in perspective, if you try to print this photo, it will be the size of 98 x 23 meters which is almost big as the Buckingham Palace. Zoom can display detail at a distance of 32 kilometers. Authors of this photo Jeffrey Martin, Holger Schulze and Tom Mills made this photo over a period of three days, taking the images from the BT Tower in London, with a Canon EOS 7D. The photographers are from the company 360 cities which specializes in this kind of photos. Check out and browse the photo here. In an event organized by the company Sony, they presented their new Playstation 4, which according to some sources is supposed to come on the market in November. The fourth generation of the Playstation comes with 8 core x86 processor, new graphics processor, 8GB GDDR5 memory and DualShock 4 joysticks. The new joystick have a touch pad sharing button lighting strip and the possibility of connecting the headphones. Luminous tape is used to determine the distance of the player from the console, using the new PS4 camera. Another new thing is the background upload and download, which will allow to the console to upgrade the games and the system, even if the device is switched off. All this is possible with the help of the secondary processor that runs in the background, while the primary is in charge of the game play. In addition, the new Playstation 4 will be more social. Namely, players can stream while playing, and if your friend noticed that you are in a rush, you can join in the game, of course, if possible. The press talked about upgrading the Playstation console ecosystem and how it could be integrated into other platforms such as the Vita, but also in smartphones and tablet computers. Playstation games developed for previous generations would not be compatible with the new version of this gaming console, but Sony are hoping it will be resolved while the console goes out in the market. In addition to updates for the Playstation 4, which were presented at the event in New York, were announced and the first games for this console. The CEO of Guerilla Games has announced a new sequel on Killzone: Shadowfall, and also Driveclub and Diablo 3 from Blizzard were announced. A good web design in any site is a big deal nowadays. People come and go as they squeeze time to visit websites and consume information throughout the day’s busy schedule. Yet, every person in this world tend to love visiting sites and choose those which are of the best designs and attractive features. The web design that we have come to know today has evolved over a course of time. A web design would never be a “web design” of today if it has not gone through many improvements. From the simple line-mode browser to the complex network of design principles and elements, web design has gone a fair recent history. In 1991 to 1993, the World Wide Web was born after Tim Berners-Lee’s proposal of his global hypertext project. It was the early days of WWW in which texts can only be read from a simple line-mode browser. Putting graphical design elements such as images and sounds were still unknown. It was when after W3C was created in October 1994 that encouraged one company to help the fast web design evolution over the years. Starting from 1996 when Microsoft released its first ultimate browser which is the first to support sheets, designers were driven in innovating the HTML tables into complex lay-outs which are hard to be completed during those times. However, CSS was created by W3C that can support presentation and layouts that allow the HTML to be semantic until Flash was developed afterwards. The time that had elapsed from the simple layout to a complex and powerful web designing has enabled designers to develop a network of web pages or so-called as websites. As every professional web designer does, the usage of the appropriate tools and technologies in their own field is a must. Web designers (look at web developers India for help!) also use a wide variety of different tools and technologies depending on the part of the production that they are working on. Over a course of time, these tools are updated with newer software in order to create a more desirable effect that is still lying on the same principles. Web designers use vector and graphic display packages in creating graphics in your website. A hand-coded or generated standardized mark is also used as one of the innovative technologies. Optimization is important to search engines and recommended for more improvements. In every website, it is important to that it is user-friendly in which instructions are stated clearly for users. It is a good practice to have a better page layout to avoid disorder. A user will get confused looking at a disorganized website. Another thing, if you want to keep your target market, make sure that a user could have a good visual experience while running through your webpages. As time has passed, so did the evolution of web design over a short period of time. It started from the simplest line-mode texts and had been the “web design” that we know of today. Be prepared to meet the latest innovative web design in upcoming years! The new vulnerability in iOS 6.1 allows you to easily bypass iPhone security or unlock the screen and access the contacts, voice messages and photos that are stored on the phone. The bizarre vulnerability, which appears on all iPhones and iOS with 6.1 is discovered by Jailbreaknation.com whose video explanation of the hack you will find below. Apple immediately started working on a new version after it discovered the vulnerability, which is a third omission found on iOS 6.1 within a week. The first problem was with the battery overheating, the second with Microsoft Exchange. The company said "we take care of security," and that they will fix the rebate as soon as possible. In fact, Apple released iOS 6.1.1 version, but that version was released just a day before this vulnerability was detected. Few days ago one of my best friends broke his iPhone 4S and was devastated. Luckily we found a store which fixed his iPhone for very reasonable price and he got it back for two days. The store was located in Las Vegas and we found out that they fix all kinds of gadgets, not only iPhones. They offer anything, from iPhone repairs, iPod repairs, iPad Repairs any smartphone repair and and all PC repairs. This place is called Smart FIX and they'll fix any problem on your phone in a very professional and fast manor. 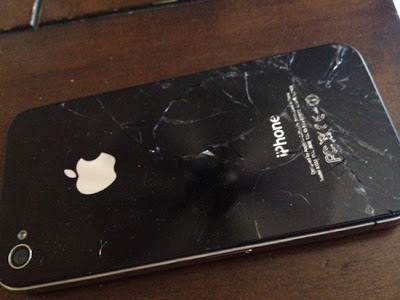 The most popular service they have it’s probably the iPhone broken screen glass repair. Mike the owner told us that that more than 20 people a day comes to the Smart Fix store to replace their broken touch screen displays and LCD’s (me and my friend were one of them). He also told us that people usually don’t know if their phone is fixibale and in many cases they just trash it or go straight to the provider stores like At&T, T-mobile or Verizon and just pay for the upgrade without knowing that its actually much cheaper just to fix their phone and keep using it. It’s very important also to back up all your information on your phone before you come to a repair service at their store as many things can go wrong during the repair like mother board issues, camera repair and you might lose your information. So don’t wait and don’t keep using your phone with a broken glass without knowing you can fix it. Visit Smart Fix iphone repair store today and get it done. They serve the entire Las Vegas valley including North Las Vegas, Henderson NV, and Summerlin area. Surely, when you communicate through email you want to know whether your message is read or the link that you posted is clicked, so we present you the Bananatag application that will help you follow your Gmail messages. With the help of Bananatag directly through Gmail you can see that your emails are read and whether any of the links in the content was clicked. Bananatag offers and analyze your email messages, or how many of them are open - unopened unique or repetitive clicked or not clicked at all, or they are opened through desktop or mobile device. Bananatag is available as an extension for Chrome and Firefox, Outlook, and can be implemented in any of your favorite email clients. Once you install the extension, when you open Gmail is supposed to have two new buttons - Bananatag, immediately to the right of the search box and Tag next to the button to send the message. The function of the Bananatag button is to lead you to the board to monitor the emails and Tag is whether the message to be followed. There are no changes in the sending of messages, except that you will need to press the Tag button if you want to follow the message. However, if you use the application free you will be limited to 5 messages a day, for more you'll have pay. So you have a business, or you are a part of an organization, and you want something new and innovative. Well, we all know that the market research, discovering customers needs and finding innovative ideas are one of the hardest things to do. And even when we find them, its hard to motivate employees and engage them with your goals and campaigns. That's why we present and offer you a solution in Hunch Buzz. Simply they will save you time and money and they'll give you the best result. You will capture insights from your employees and customers. Then you can develop, validate and test the best ones and thus you can determine the gap between the company and customers expectations. Which will help you to empower your community to engage with your campaign and increase the time your community members interact with your campaign. You will get promotion of a campaign and brand to more than 600,000 members of their Facebook community. This will help you maximize your idea and grow awareness through this social engagement. First you need to activate the service with setting up an appropriate challenge, including customizing the look and feel with your corporate design. Then with the access to 600,000 members on Facebook you will engage your community. Through commenting and voting you will be able to listen to listen to the community generated ideas and solutions. Also you need to ask questions, post responses, let your community know you are listening. And the last part - Act. Asses top ideas and determine relevant progression plans. Reward users for their participation e.g. points, cash or rewards and then validate and test ideas. Through all of this you get access to tons of features from the innovation software you will get from HuncBuzz. They also offer industry solutions for: Government, Enterprise, Non profit, SMEs & Start-ups. Check their site and you will get a broader picture of this serious and truly amazing organization. We already wrote about the specs of Sony Xperia Z and here is a video proof of how amazing the camera will be. 999 in just over a minute. Do You Have Perfect Pitch? Roofing really is a science. On older homes you may run into some issues with your eaves or other lower parts of your roof. If you have noticed some roof rot on your eaves or you notice that you have some pooling on your roof you may have a pitch problem especially with an older roofing system. Even if you have a flat roof there is still some pitch involved. When your roof is pitch perfect it means that the rain and snow follow the route to your down spouts and is whisked on down the drain and not staying around to cause wood rot to your roof. It also means that your roof will last a lot longer. Poor pitch will eventually cause your roof to deteriorate quickly. Unfortunately not only your roof will fall apart but so will your window frames and potentially the outside walls of your home. If your roof has a pitch problem water can build up in many different places on a roof if it is not running off properly. Sometimes it can take a while to figure out that you have a problem. In some cases you do not find out you have a problem until the roof starts leaking and that is after the rain water has sat for awhile. In many cases that trapped water can harbor high bacteria growth and of course cause the perfect environment for mold growth. Mold is really the homeowners enemy but when your roof is having issues your entire house is under siege from a host of problems. A lot of people focus their home improvement dollars on cosmetic fixes. They paint and plant and worry about landscape but some sage advice is that you insure that the mechanics and the bones of your home is sufficiently shored up before you put your money anywhere else. Making sure that your roof is in good shape and protecting your home is where you need to start. There is no sense putting money into any other home improvement project until your roof is in prime condition otherwise you risk ruining your other projects. There are steps you can take to improve the pitch of your roof and t protect your home from further damage. If you notice signs of standing water on your roof and cleaning out the gutters does not do the trick than you very well may have a pitch problem that you need to have repaired. The iPhone 5 is the newest smartphone from Apple and like the other phones before it, this new model, with its extra features and new design, has everyone talking. When it comes to accessories, there are many to choose from that will protect your phone as well as make it look great. Here are five great iPhone 5 cases that are sure to please you! 1. 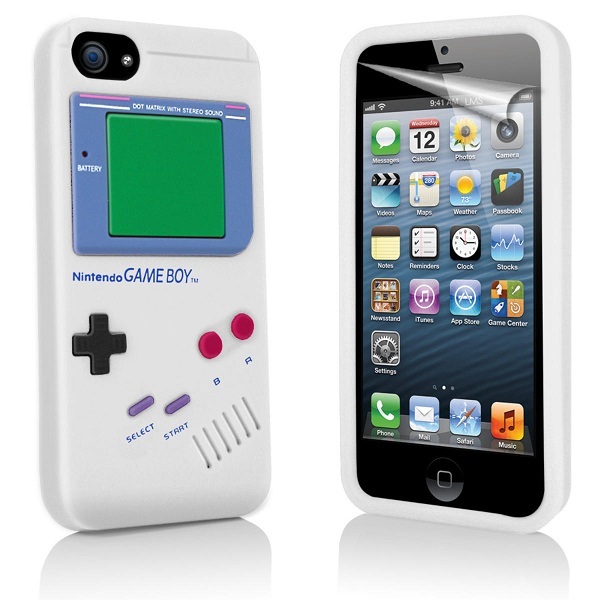 If you’re a gamer, then you will love this retro iPhone 5 case that has the look of the classic Gameboy hand-held system from the 90’s. The case fits smoothly over the phone, protecting the back from shock and breakage, as well as scratches. It also comes in a variety of colors, from standard black and white to red, purple, and even that classic orange that you remember so well from back in the day. Get one here http://www.ace-case.co.uk/. 2. For people who want more from than iPhone cover than just protection, the Smart Flex Card from Speck Products is the perfect choice. How many times have you been on the go and don’t want to carry a purse or wallet? Now, thanks to this case, you won’t have to! It not only holds you phone, but it has an extra slot for money, and three different cards. You can carry credit cards and even your driver’s license. It’s the perfect case for a hands-free night out of clubbing. 3. If you’re looking for an iPhone 5 cover that protects every single aspect of your phone, then an Otter Box is the perfect case for you. These cases slip over the phone completely, protecting not only the back, but the screen and every other part of the phone as well. Locking tabs protect every port from dust, debris, and foreign objects, and it comes in an array of colors. 4. If you’re a superhero buff, then the new Avengers iPhone 5 case is one that you’ll love. Featuring characters from the hit movie, this case is also lightweight and has a built-in lining that protects your phone from breakage. 5. If you’re especially prone to dropping your iPhone, then a Ballistic case is probably a good choice for you. It has three layers of protection—a polymer layer, a polycarbonate shell, and silicone for extra cushioning. It’s the ultimate in protection and is available in a variety of two-tone colors. Do you think that your fingers are too big to use a smartphone, or maybe your nails are too long? One woman invented interesting gadget for that kind of problems. Tech Tips is a kind of a thimble that comes in different sizes and allows you to use tablets and smartphones, even if you are a bit clumsy. The product can be worn over thick gloves, which means you do not have to remove when you want to use your phone. Thimble was unveiled at the Consumer Electronics Show in Las Vegas, and costs about $10. It's invented by Sri Velanki and she says that the idea came after her long nails bother her wehn using the smartphone. Velanki, normally from India, who now lives in America, says: "I got the first iPhone in 2011 and it was difficult to use with long nails. So I decided to make a thimble that will be small, inexpensive and accurate. " She added that "nails need to look good, and that no woman should sacrificed them for a device." First of all, Monsterra is free game optimized only for iPad. You need to have iOS 4.3 or higher in order to play this game. It's fresh, it was released just 3 days ago on App store. 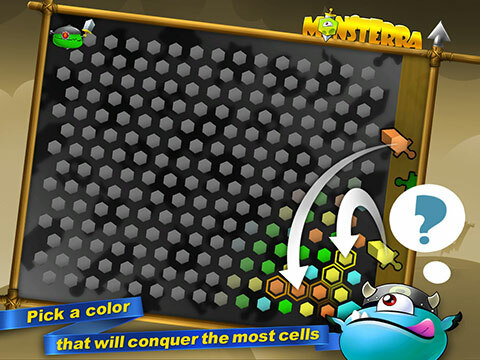 Monsterra is practically a colorful logic game. When we say colorful, we mean very colorful and crisp. The developer did a nice job here. 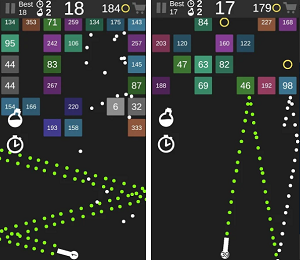 With logic and rationally selecting circles in different colors you need to beat the opponent. You need to be a great thinker in order to become the best. As for the game, graphics and game play are great, and the so called monsters look like sweet, friendly and cool creatures. Practically is a game for every age. There are several game modes. You can play a multiplayer game in which your friends or family will be opponents. Or you can choose from Hot-Seat, Wi-Fi, Bluetooth or against monster machine. Additionally there are three different matches for you to play and you'll gain experience and rank with every game you'll play. The game doesn't have any bags and runs smoothly. We did a little research about which tech websites/blogs are the best in the tech world. We researched over 20 websites and blogs, and came up with this list, using various categories like Page Rank, Alexa ranking, number of sites linking in, history, authority, social media followers.. etc. Created back in 1994 CNET is a giant in this tech media business. Divided in 6 different highly authoritative pages: Reviews, News, Download, CNET TV, How To and Deals, Cnet is the most visited tech site on the web and thus is number 1 on this Top 10 tech websites/blogs list. Launched in 2004, and acquired by AOL in 2005, Engadget now is one of the best tech blogs/online magazines in the world. Always in the top 5 on the Technorati top 100, Engadget is one of the blogs with most influence on the web. Ten blogs operate under the engadget brand, 4 of which are in English, and 6 in other languages. The 4 English blogs are: Engadget Classic (The original blog), Engadget Mobile, Engadget HD, Engadget Alt. Launched back in 2005 by Michael Arrington and bought by AOL in 2010 for $25 million, TechCrunch offers technology news, analysis, profiles of start up companies, products and websites. TechCrunch is now affiliated with 12 other websites. With 21 million visitors monthly, TechCrunch is surely one of the biggest tech blogs out there. Ok, Mashable is not only technology blog, it's mainly focus are the social media news, but the technology section is pretty visited and important in the tech world too. Mashable got over 6 million followers on the social media and around 20 million unique visitors per month. Launched back in 2002, Gizmodo now is one of the most influential tech blogs out there. Gizmodo favorites Europe as its content is translated in 6 European languages. In 2010 Gizmodo became famous, when they bought the lost prototype of iPhone 4, which they eventually gave back to Apple. The blog has over 38 million page views monthly. Zdnet is a technology news website published by CBS interactive and created back in 1991. ZDNet now operates around 50 blogs deployed in 6 main categories: companies, hardware, software, mobile, security and IT research. ZDNet was the first technology website that surpassed 10 million unique visitors in one month. The online version of the relevant tech magazine "PC Magazine", which was first printed in 1982, sits at 7th place on our top 10. The website was first started in 1994, as a online publication of the magazine. Although the printed edition stopped in 2009, the website continues to be one of the most important in the tech world. Launched back in 2006, this relatively new web site is always ranked as one of the most influential on the internet. The site organizes 4 events: TNW Conference, TNW Mobile Conference, TNW Bowlr and Kings of Code. In 2008, TNW launched is blog, for which is most know for. The blog is always in the top lists of blogs with most authority on the web. Created back in 1998, Ars Technica (Latin for Technology Art) is a technology news and information website. As the site developed in one of the best tech sites on the web, Ars Technica was acquired by Conde Nast Publications for $25 million. Ars Technica generated controversy when in 2009 they blocked all users who were using ad blocker to enter the site. What is also interesting about this site is that most of the employees work from home. Created only 15 months ago, The Verge is a technology news and media network operated by Vox Media. Editor and creator of The Verge is the former Editor in chief of Engadget, Joshua Topolsky. As much funds were invested on promotion and quality content there is no doubt, that although very young, The Verge is one of the best tech websites out there. Note that almost all data was collected in the end of January 2013, so, as all this parameters change daily, they can be different on the day of reading of this article.